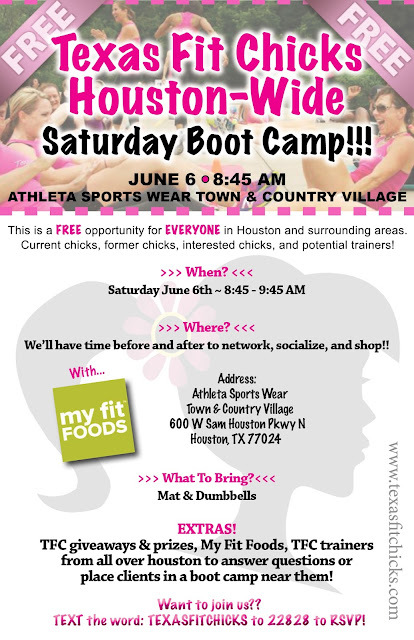 Announcing Houston-Wide Saturday Boot Camp!!! We've got a wonderful opportunity for EVERYONE in Houston and the surrounding areas. For current chicks, former chicks, INTERESTED chicks, and POTENTIAL trainers interested in a turn-key opportunity with Texas Fit Chicks! TIME: 8:45 AM - 9:45 AM! We'll have time before and after to network, socialize, and shop! EXTRAS: TFC giveaways & prizes, My Fit Foods, TFC trainers from all over houston to answer questions or place clients in a boot camp near YOU! Awesome! I plan on being there! Quick & Healthy Lunch Ideas! 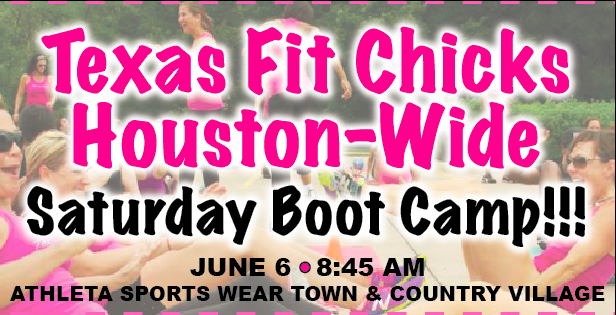 Join The Texas Fit Chicks Summer Body Challenge! !